Two local Loudoun soccer clubs represented Virginia well in the Top Division of the Hershey Memorial Day tournament in Pennsylvania a few weeks ago. In the end, Leesburg FC’s 2005 Alliance won the Division in exciting fashion! 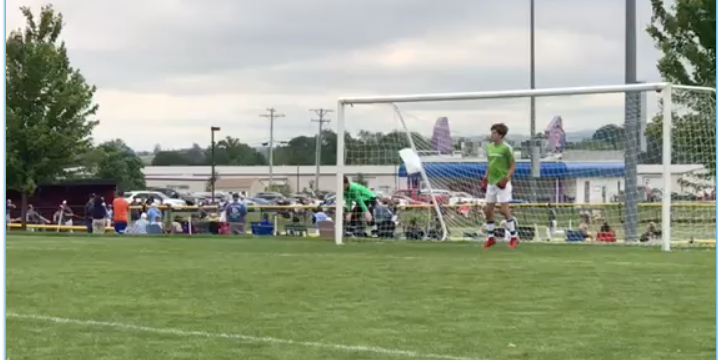 After advancing to the semi-final round the two Virginia soccer clubs faced each other in a game that pitted Leesburg FC vs. Loudoun Soccer. After a hard fought match, the game needed to be settled by a penalty kick shootout. 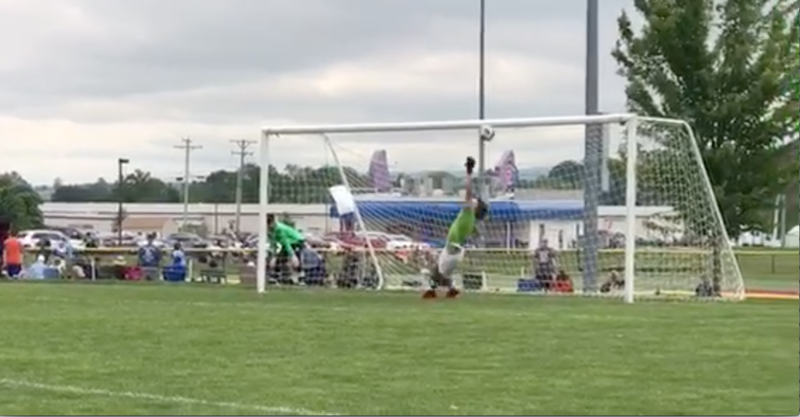 Leesburg FC Alliance came out on top after a critical save by its goalkeeper to secure the victory! 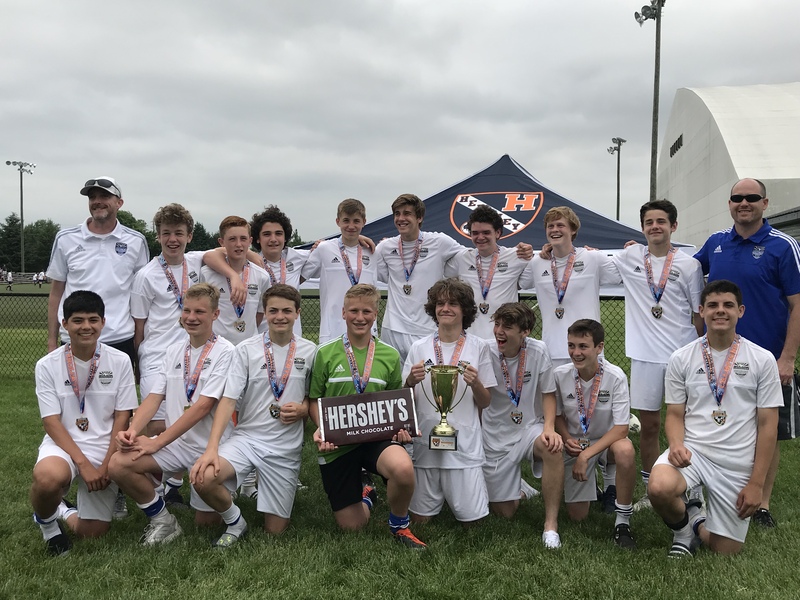 In the Finals, the LFC Alliance went on to defeat Pennsylvania’s Fleetwood Soccer Club 2-1 in the Championship game, with the winning goal coming in the final minute. Congratulations to all the boys and their coaches on the Championship and the well deserved celebration at Hershey Park! That giant Hershey’s bar didn’t stand a chance!